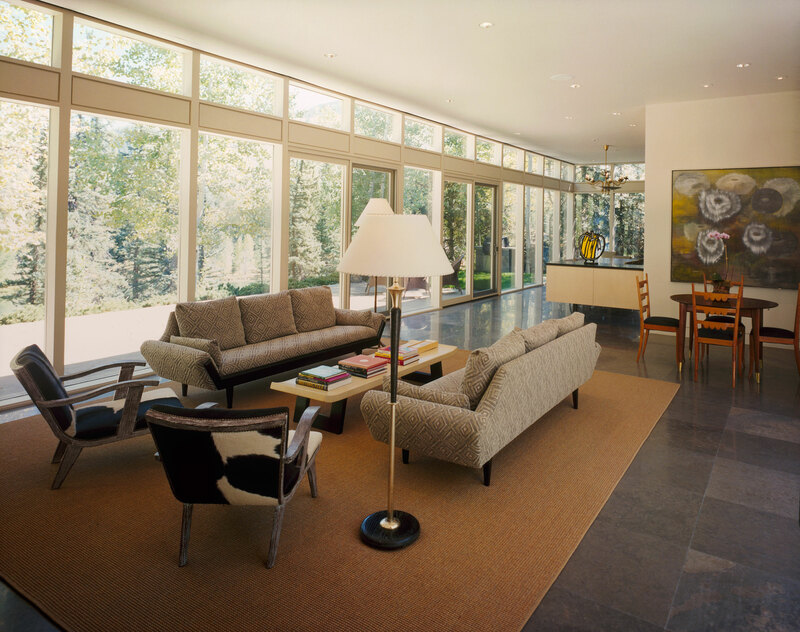 Built in 1957, the original modernist one-story residence designed by Bauhaus Architect Herbert Bayer sits quietly amid its Victorian neighbors in Aspen's West End neighborhood. Sensitively sited away from the street at the northern end of the lot, the stylistic contrast between Bayer's simple, horizontal, flat-roofed box and the adjacent gabled Victorian cottages is muted by an expansive green lawn shaded by cottonwood and aspen trees. The original facade presented concrete block in a stacked bond pattern and aluminum-framed windows. Today, a coat of off-white stucco covers the concrete block. 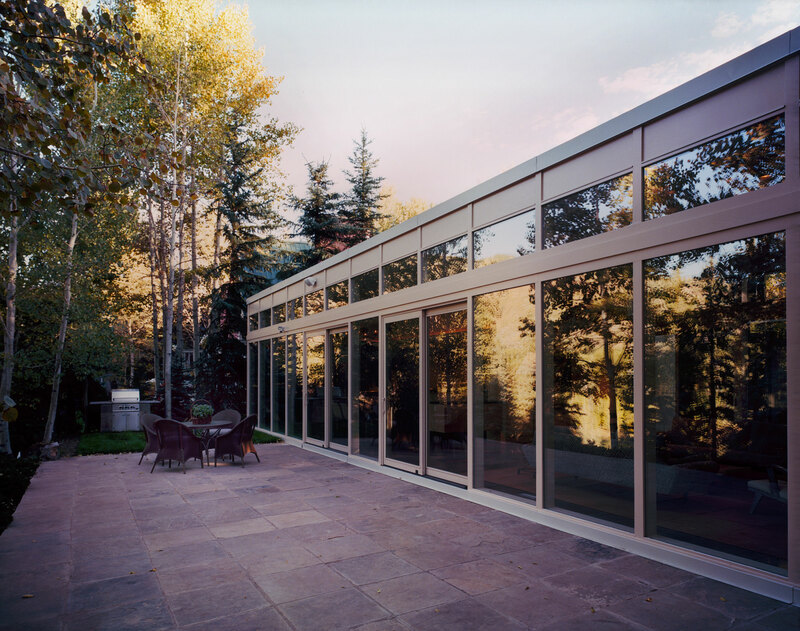 Extensive floor-to-ceiling glazing in wood frames on the north facade provides overlooking views of Hallam Lake and the Nature Preserve below the bluff and to Red Mountain beyond. Bayer's floor plan is organized around a central open-air courtyard which is immediately experienced by the visitor approaching the entry door. A master suite is located in the wing west of the courtyard, and three other bedrooms are in the wing south of the courtyard. 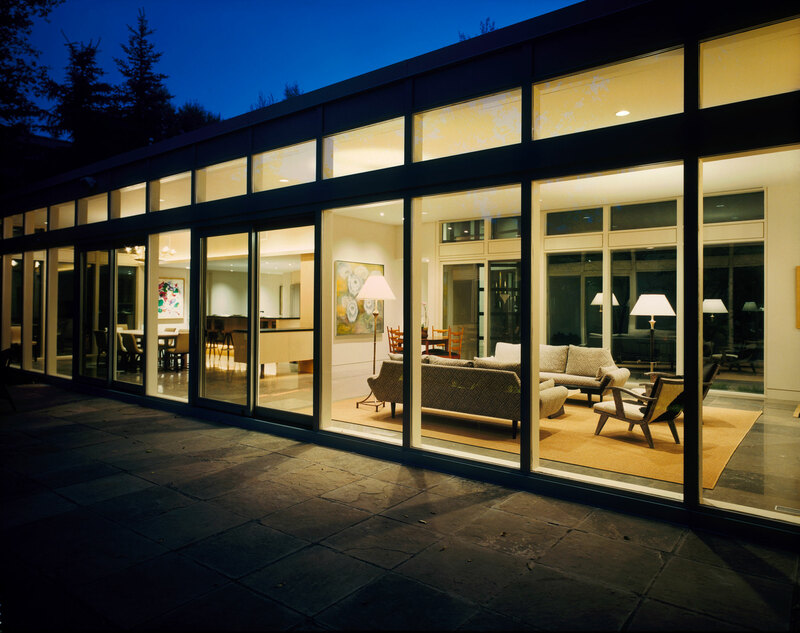 The north courtyard wall is fully glazed and provides a visual and physical connection to the Living Room and the landscape beyond. 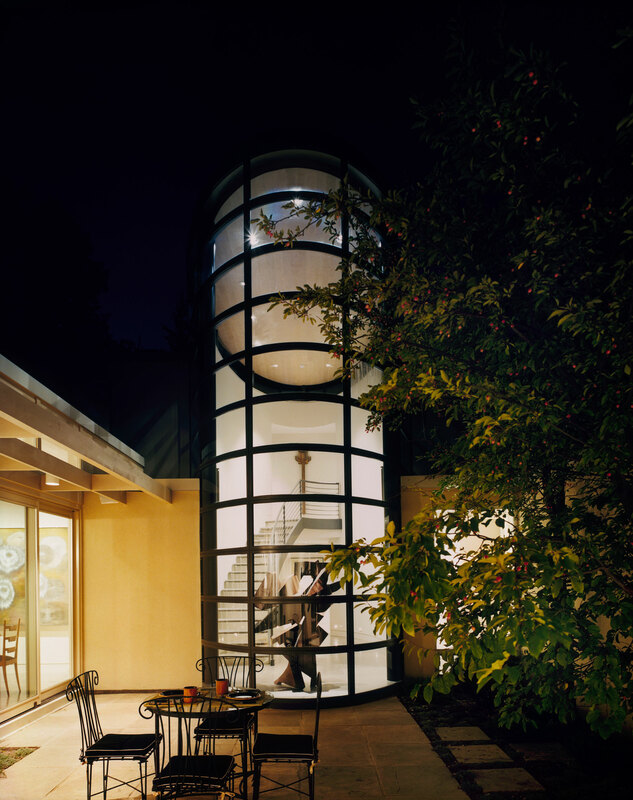 Appreciative of the modernist approach in art and architecture, the current Owners directed the Architect to provide modifications and an addition that is sensitive to and enhances Bayer's original concept. In developing a program that enlarged the house from 2894 gross square feet to 5949 gross square feet, the issue of achieving massing, scale, form and imagery that is distinct but sympathetic to the original house was paramount. The plan is configured to enhance the qualities of Bayer's courtyard. It remains as an important element of the entry sequence. The Living Room has been expanded approximately four feet into the courtyard, and the ceiling and roof were raised from 8' to 10'-6" to maintain the proportional characteristics of the room. The original master suite and bedrooms south of the courtyard are reconfigured to provide updated bathrooms and additional closet/storage space required by the Owners. Where the existing sheds were located at the east end of the house are an enlarged kitchen, mudroom and laundry room. A guest master suite, including study, is located above in a second-story volume. 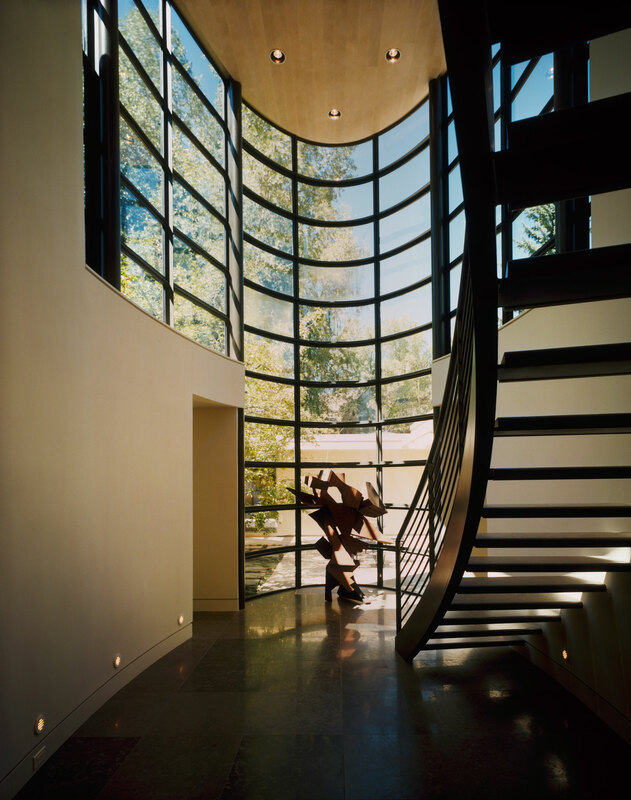 The connecting stair is enclosed within a two-story elliptical volume - a geometry that distinguishes the vertical circulation purpose of this space from the orthogonal configuration of the original house and the proposed addition. 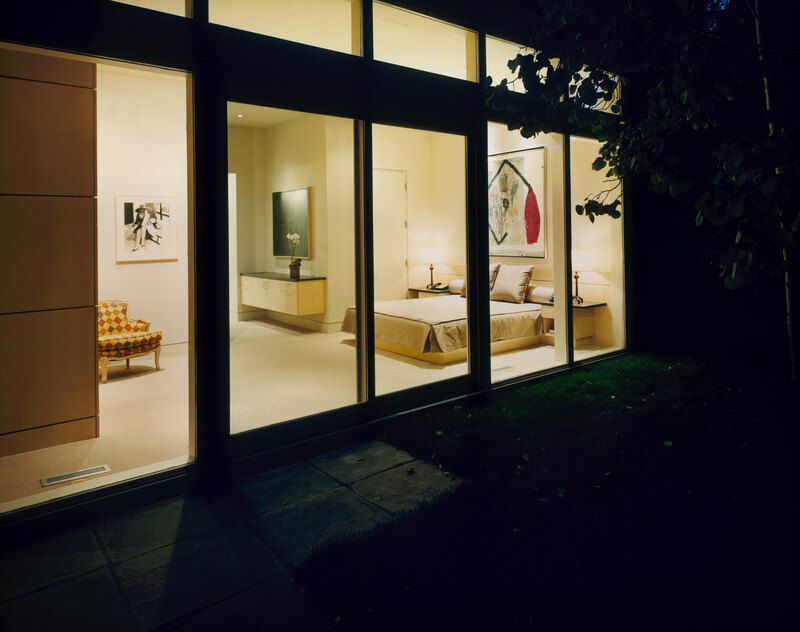 This space also displays a significant sculpture from the Owner's art collection. A new garage is located close to the street in order to maintain a separation between this volume and the front facade of the original Bayer house. The two-story addition and the new garage are clad with a gray stained vertical cedar siding to allow the original house facade, with refurbished off-white stucco, to dominate the composition. 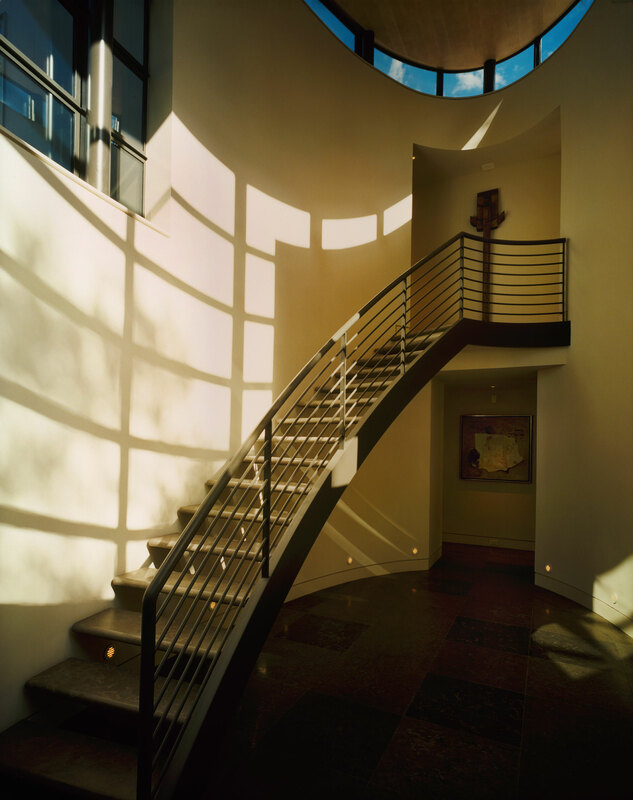 The skin of the oval stair consists of tinted glazing in thin-profiled steel window frames. The elliptical form is not intended to dominate, but rather to contrast. Compared to a rectilinear mass of the same volume, the ellipse is softer and more subdued. 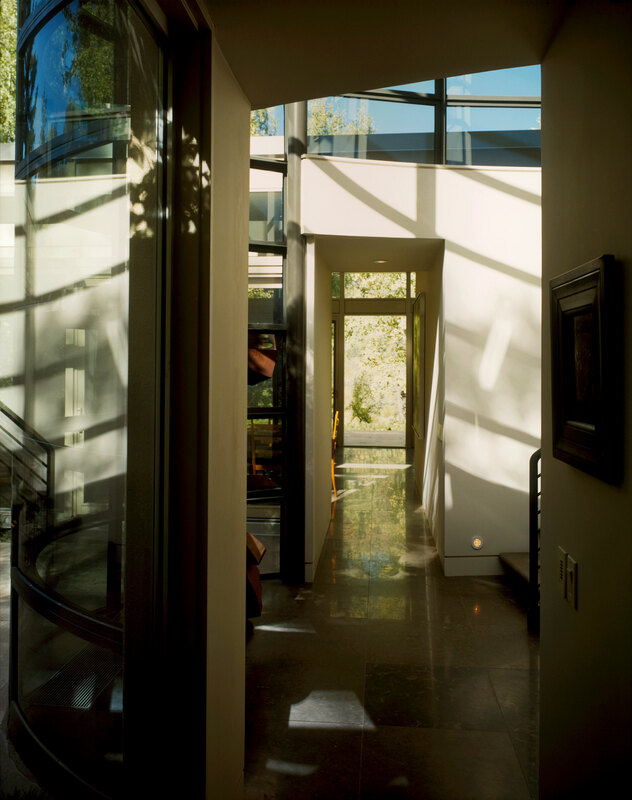 It animates the courtyard with its form and transparency.